Recently Ottawa announced that it intends to introduce an air passenger bill of rights. 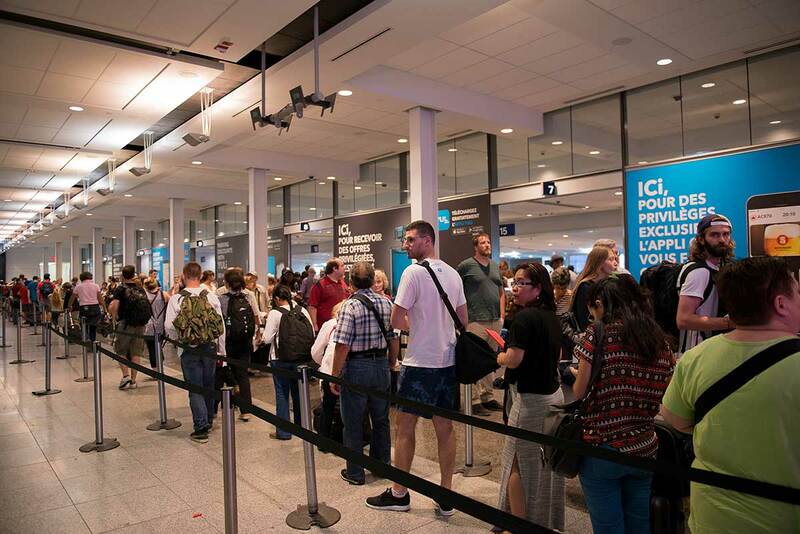 Although the announcement did not stipulate what the bill may address or provide any indication of when it might happen, for Canadian air travellers who currently have no protection at all, it was a most welcome start. Earlier this summer, an Air Transat flight from Glasgow to Toronto was delayed for almost an entire day when its two pilots were arrested on suspicion of being under the influence of alcohol just prior to their transatlantic flight. The story made news not just because of the unusual—and worrying—circumstances, but because it brought to light the fact that unlike our European counterparts, Canadian air travellers are at the mercy of our airlines when things go wrong, even when the problem is entirely the airline’s fault. Currently, Canadian air carriers need only to weigh up the potential negative publicity and loss of clients when calculating possible compensation and therefore some stranded or highly inconvenienced travellers may walk away with nothing more than a modest discount for a future flight. Although Ottawa has provided few hints at what our air passenger bill of rights may include, we can hope and assume that those in the government responsible for its drafting will at least review Europe’s version for suggestions or guidance. The Precedent: What Does Europe Say? What happens when passengers departing from a European airport find their flights delayed or cancelled? What happens if their seat is downgraded, or if they’re denied boarding due to overbooking? Regulation (EC) No 261/2004 went into effect in Europe in February 2005, and deals primarily with those situations. Now, when an airline cancels a flight, the airline must make every effort to get the passenger to their destination as quickly as possible either directly, or, if the passenger consents, via an alternate route. If this does not suit the passenger, the airline must provide a full refund, including a return flight to their original point of departure (if the cancellation occurs midway through a longer itinerary, for example). The airline must also provide passengers with access to a means of communication, such as telephone or email, as well as refreshments and accommodation where applicable. Regardless of whether the passenger chooses not to travel and is refunded, or if they’re rerouted and eventually reach their destination, the airline must provide affected passengers with cash compensation ranging from 250–600 euros, depending on the scheduled length of the original flight. If the airline’s new arrangements get the passenger to their destination within a reasonable timeframe, the cash compensation is halved. When Do Europeans’ Rights Kick In? These rules only apply if the cancellation was under the airline’s control, such as mechanical, labour or crewing problems, or just a change of schedule. Cancellations due to weather, for example, are not subject to the regulations. In addition, any flight cancelled more than two weeks prior to its scheduled departure is not subject to compensation, nor are flights cancelled within that timeframe but for which alternate travel arrangements are offered that deliver the passenger to their destination within a predetermined timeframe. In cases where flights are delayed by more than two hours (for shorter flights), passengers are also entitled to financial compensation. If the flight is delayed until the following day, the airline is required to provide overnight accommodation, and if it’s delayed by more than five hours, a passenger may cancel their trip and receive a full ticket refund plus cash compensation. While nearly all airlines are permitted to overbook flights, when passengers are denied boarding because of it—it’s no fault of their own!—airlines are required to provide assistance and cash compensation comparable with those for passengers whose flights have been cancelled. Unfortunately, None of This Currently Applies to Anyone Travelling on Canadian Airlines! When Canadian air travellers are subjected to delays, cancellations or denied boarding, they must first take up their complaint directly with the airline. If the two sides can’t reach an acceptable resolution, the passenger can approach the Canadian Transportation Agency for assistance. The CTA may escalate the dispute to mediation, or even an adjudication process, but, ultimately, without any bill of rights in place, there is no guarantee of a satisfactory conclusion short of the passenger taking the airline to small claims court. For Canadian air travellers, we hope the federal government’s proposed bill of rights will be at least as robust and comprehensive as that in effect in Europe, and furthermore, that it will be introduced quickly.